← Brewers to take Advantage of Mobile Payments? Is the UK payments market about to fundamentally change? Is the UK payments space about to undergo a revolution? That is now a distinct possibility with this week’s announcement from the European Commission (EC) of its new payments service directive (PSD2) and a regulatory proposal to cap interchange fees on debit and credit card transactions. If the implications of the directive are considered alongside a new UK mobile payment initiative called Zapp (announced last month by Vocalink, provider of the UK’s debit and credit payment infrastructure that powers its faster payment service – FPS), might we as UK consumers be about to change how we pay for our purchases? In announcing PSD2 the EC is attempting to achieve a number of different goals. One is to integrate the EU’s fragmented payment system into one single market for both card and, especially, digital payments. This in turn will allow for innovation in the payment industry and allow non-bank payment companies to operate in the digital space. Another, and the most publicised, aim is to bring down the costs of payment transactions to both the merchant and also, indirectly, to the consumer. All told the EC expect debit and credit card interchange fees to almost halve. Just how much of the savings on interchange retailers are likely to pass on to consumers is a moot point. However the EC are making a start by banning merchant applied card surcharges. Anyone who has recently bought an airline ticket will be familiar with those and it may well be that Michael O’Leary et al end up charging us a pound to spend a penny to make up for the shortfall in revenue. 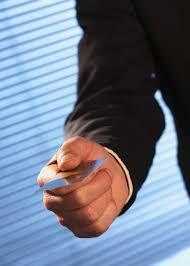 But of course those who are most likely see their revenues diminish are the card issuers themselves. Not only will interchange fees fall but they will also bear increasing risk under the PSD’s consumer protection clauses that see consumer losses being capped at EUR 50 for fraudulent transactions (from EUR 150 today). When this is combined with the extra security being demanded for customer authentication, it would appear their margins are under attack from both decreasing revenues and increasing costs. Some cynics analysts point out this is only likely to result in increased card fees and interest rates for consumers. Also the question might be asked how will the directive apply to merchant acquirers, given that they and the card issuers are often one and the same? Merchants could see increased costs on the acquiring side, so we could possibly end up with a situation where ultimately the net benefit to the consumer from the directive is marginal. Interestingly, three-party card schemes, such as Amex and Discover, will be exempt from the interchange cap. However retailers will be allowed to refuse payments from those schemes, or impose a surcharge, a luxury they won’t have with MasterCard or Visa. The implication here is that the expensive interchange charged by the three-party schemes will be borne directly by those cardholders and not by all consumers. This is an obvious threat to their business model and expect fierce lobbying from them. But while the card payment industry gets caught up in arguments about PSD2, there is a new UK payments kid on the block. Zapp is proposing to fundamentally change the nature of retail payments in the UK and more importantly it is going to do it through your mobile phone. Crucially payment will be by direct bank-to-bank transfer authorised via an app (QR codes for Apple, NFC for the rest of us), bypassing the card schemes altogether. This is of course a further threat to issuer interchange revenue. And there is a paradox here as Vocalink, the providers of Zapp, are ultimately owned by the banks themselves. So here we have a bank-owned scheme proposing a mobile payments service likely to further reduce its members’ interchange revenues. Added to that, Zapp will be competing directly with other bank-offered payment services such as Pingit (or Buyit as it is being rebranded for payments). Which is why it is unclear for now as to which banks will ultimately sign up to Zapp. However, one thing is for sure. 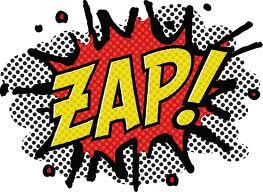 Zapp will prove very attractive to both retailers and consumers alike. For the retailer, interchange isn’t just halved, as it is under the PSD2 proposal, it is removed altogether. For the consumer it has all the attraction of a debit card transaction that pays straight from your bank account, albeit one transacted from your phone. And what’s more, it is instantly interoperable. By operating off of Vocalink’s platform, payments can be made from one bank to any other in almost real time, unlike many three-party mobile payment schemes in the market today. From the consumer perspective it does away with having to manage different balances across different mobile wallets and cards. As Peter Keenan, Zapp’s CEO, said in a recent Finextra video “consumers already have a wallet – its called their bank account”. This bank-led thinking was further endorsed this week in a report from Monetise that found that a majority of European (including UK) consumers would be more confident in m-commerce by using a bank-offered payments app. This confluence of industry trends appear to be acting in Zapp’s favour and reluctant banks may not be able to ignore it. Of course cards are not going away any time soon and the card franchises are also busy innovating in digital payments. But if PSD2 makes card issuance marginally less attractive to banks, does it in turn make an initiative like Zapp marginally more attractive? If that is the case, and if Zapp gets the endorsement of both retailers and merchants, the UK payments market is set for a fundamental change. Next stop Europe? This entry was posted in Mobile Payments and tagged Mobile Payments, PSD2, UK, Zapp. Bookmark the permalink.